The ENSA™ LED light globe series provides a variety of energy efficient LED bulbs, ideal for replacing shorter-lifespan, higher energy use incandescent, halogen and compact fluorescent bulbs. 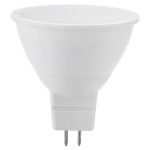 They are a perfect lighting solution for general purpose illumination. Each ENSA™ LED light globe features a frosted diffuser to remove harsh LED glare, is available in cool & warm white temperatures and comes with a 10 year return-to-base warranty. Visit ensalife.com for full warranty terms. 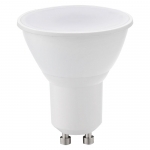 This series is available in a variety of base fittings for standard MR16 downlight bulb replacements including GU5.3 12V bi-pin fitting and GU10 240V bayonet fitting.